The body was imported from Holland in the late 1990's. 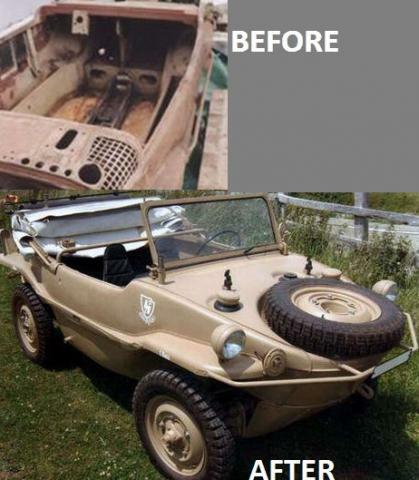 The Schwimmwagen has been completely restored. We thank the owner from the United Kingdom for his information.